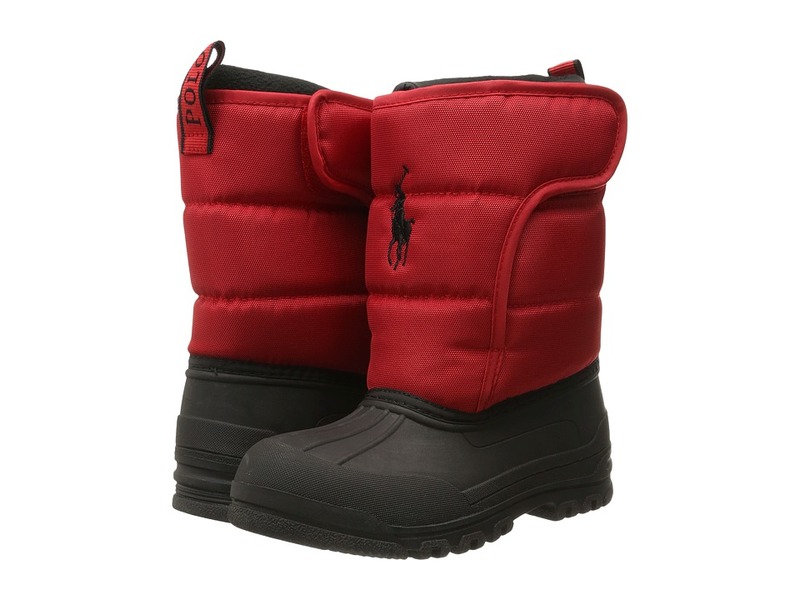 Easy does it with these Polo Ralph Lauren Kids Hamilten II EZ boots! Duck boots in a textile upper. Hook-and-loop closure opens wide for easy on and off. 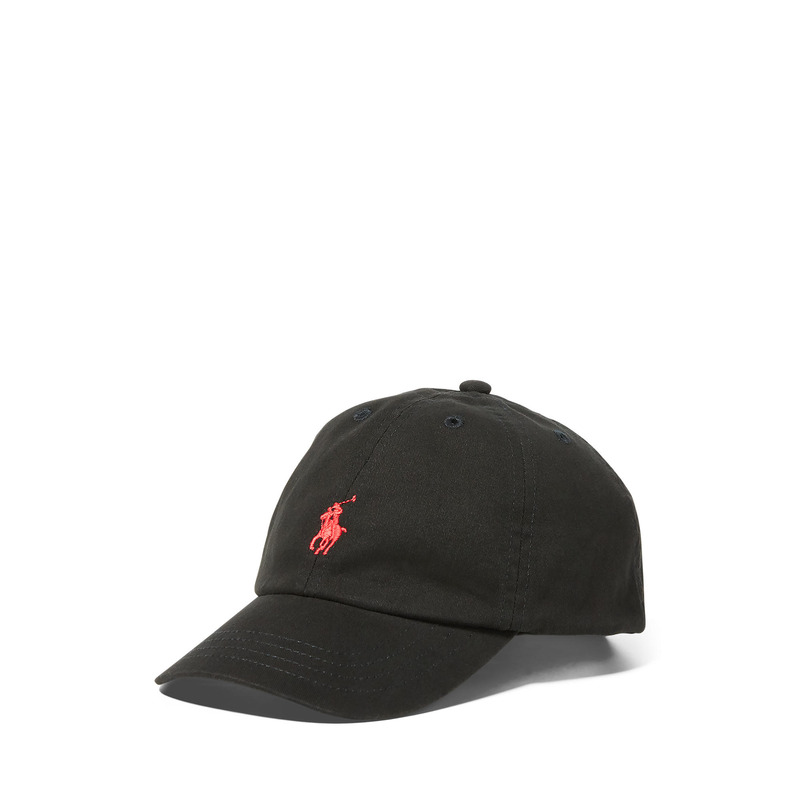 Ralph Lauren logo on upper. Heel loop for easy on-and-off. Textile lining for breathability and warmth. Cushioned footbed. Man-made midsole and durable-synthetic outsole. Imported. Measurements: Weight: 14.8 oz Shaft: 8 1 2 in Product measurements were taken using size 13 Little Kid, width M. Please note that measurements may vary by size. Weight of footwear is based on a single item, not a pair. 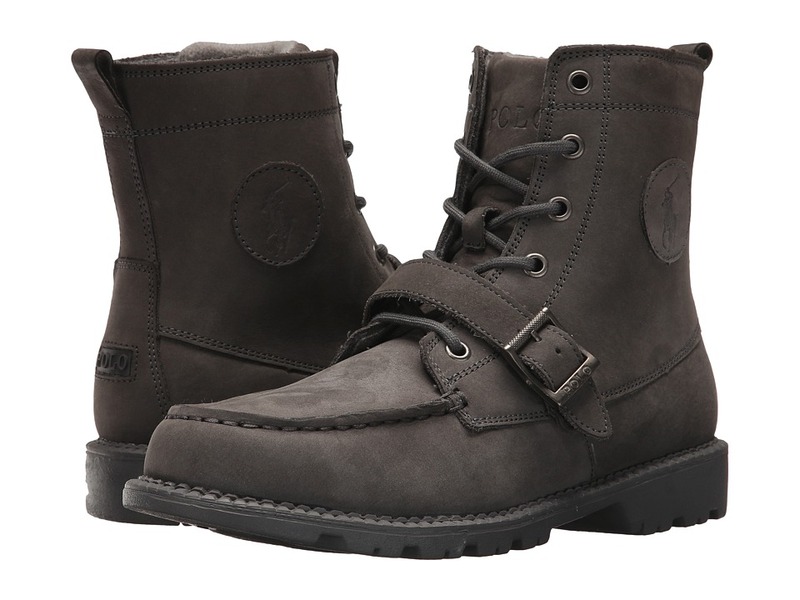 Easy does it with these Polo Ralph Lauren Kids Hamilten II EZ boots! Duck boots in a textile upper. Hook-and-loop closure opens wide for easy on and off. Ralph Lauren logo on upper. Heel loop for easy on-and-off. Textile lining for breathability and warmth. Cushioned footbed. Man-made midsole and durable-synthetic outsole. Imported. Measurements: Weight: 1 lb 2.8 oz Shaft: 9 in Product measurements were taken using size 5 Big Kid, width M. Please note that measurements may vary by size. Weight of footwear is based on a single item, not a pair. 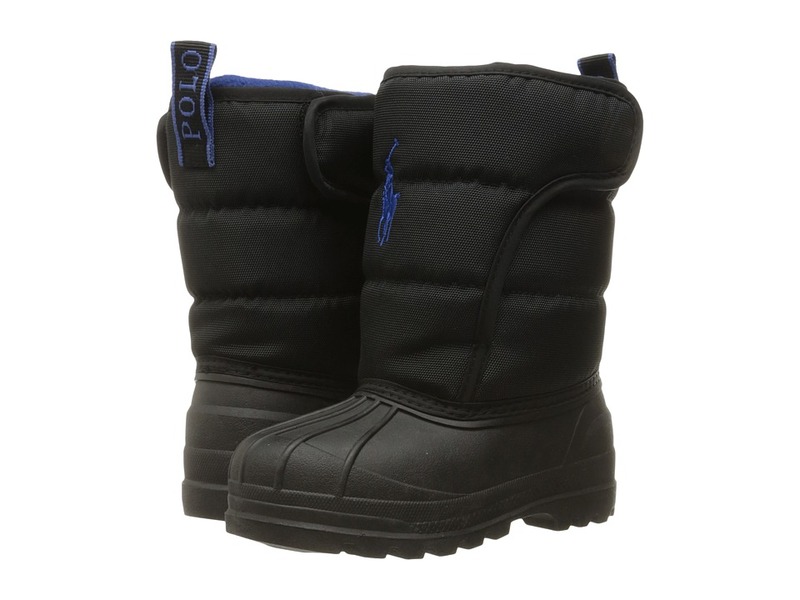 Easy does it with these Polo Ralph Lauren Kids Hamilten II EZ boots! Duck boots in a textile upper. Hook-and-loop closure opens wide for easy on and off. Ralph Lauren logo on upper. Heel loop for easy on-and-off. Textile lining for breathability and warmth. Cushioned footbed. Man-made midsole and durable-synthetic outsole. Imported. Measurements: Weight: 11.6 oz Shaft: 7 1 2 in Product measurements were taken using size 9 Toddler, width M. Please note that measurements may vary by size. Weight of footwear is based on a single item, not a pair. Create a ruggedly handsome look with the style of these Polo Ralph Lauren&amp#174 Kids boots. Leather and textile upper with a branded patch at the side. Lace-up closure with a buckle for adjustability. Padded tongue and collar provide additional comfort. Breathable textile lining and a cushioned textile lining. Durable rubber outsole. Imported. Measurements: Weight: 14.2 oz Shaft: 5 3 4 in Product measurements were taken using size 6 Big Kid, width M. Please note that measurements may vary by size. Weight of footwear is based on a single item, not a pair. A classic wardrobe essential! Lightweight knit tee is crafted from an ultra-soft Pima cotton blend. Classic fit. Signature embroidered pony at the left chest. Crew neckline. Short sleeves. Pullover design. Straight hemline. 52 percent Pima cotton, 48 percent modal. Machine wash cold, tumble dry low. Imported. Measurements: Length: 14 in Product measurements were taken using size 3T Toddler. Please note that measurements may vary by size. An essential classic. A solid legging crafted from comfortable stretch cotton jersey. Our embroidered pony accents the right hem. Elasticized waist. Tapered leg. 93 percent cotton, 7 percent elastane. Machine wash cold, tumble dry low. Imported. Measurements: Waist Measurement: 17 in Outseam: 19 in Inseam: 13 1 2 in Front Rise: 6 in Back Rise: 8 1 2 in Leg Opening: 6 in Product measurements were taken using size 3T Toddler. Please note that measurements may vary by size. 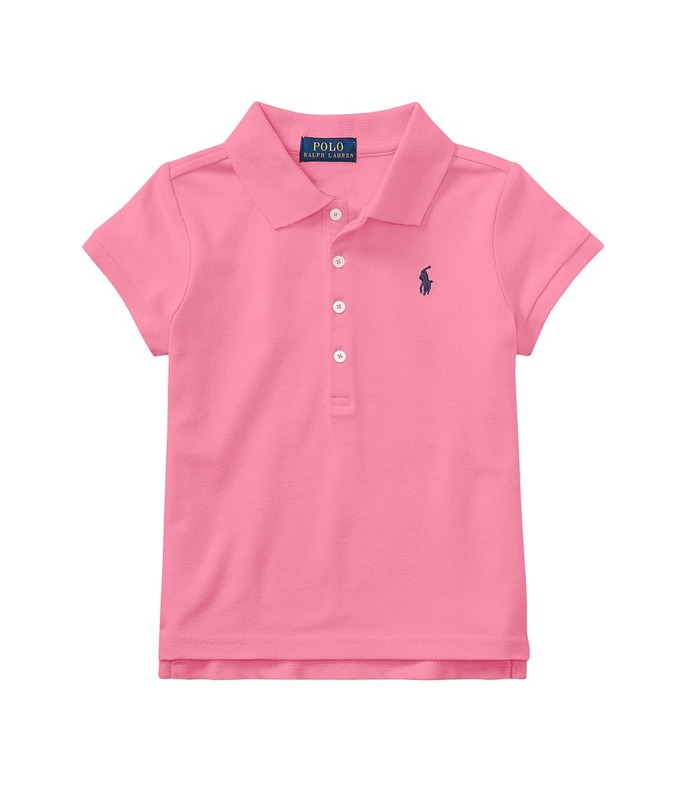 Let them kick it star-player style in this sweet polo. Soft-washed cotton piqu&amp#233 fabric. Classic pony logo embroidered at front. Ribbed fold over collar. Four-button placket. Short sleeves with ribbed cuffs. Straight hem with side vents. 98 percent cotton, 2 percent elastane. Machine wash cold, tumble dry low. Imported. Measurements: Length: 16 in Product measurements were taken using size 3T Toddler. Please note that measurements may vary by size. A classic wardrobe essential! Lightweight knit tee is crafted from an ultra-soft cotton blend. Classic fit. Signature embroidered pony at the left chest. Crew neckline. Short sleeves. Pullover design. Straight hemline. 52 percent cotton, 48 percent modal. Machine wash cold, tumble dry low. Imported. Measurements: Length: 18 1 2 in Product measurements were taken using size 6X Little Kids. Please note that measurements may vary by size. 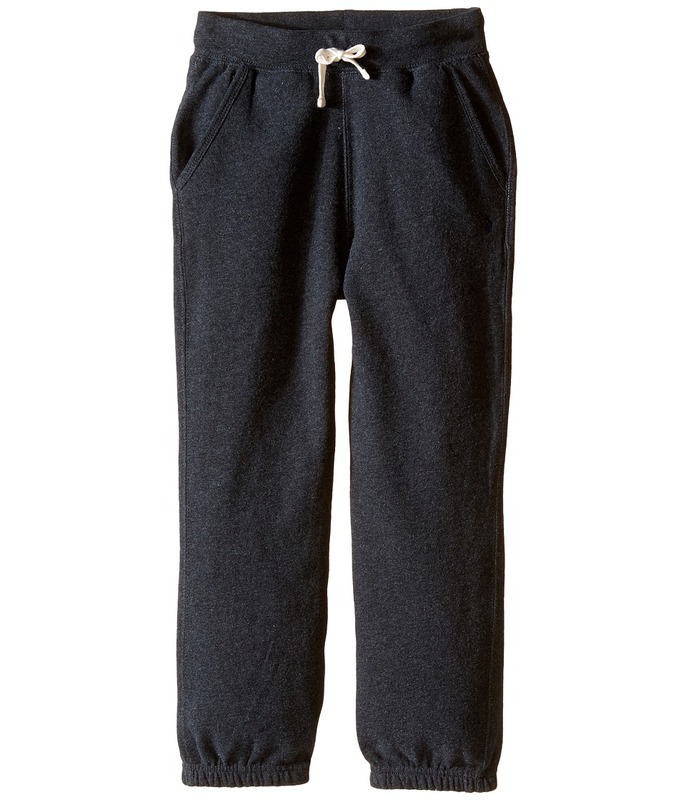 Break-time-worthy fleece pant in an easily-style solid. Cotton-blend fleece is so cozy. Signature embroidered pony at the left hip. Slant hand pockets. Elastic waist with faux-drawstring front tie. Loose-fit leg with a gathered elastic cuff. 87 percent cotton, 13 percent polyester. Machine wash cold, tumble dry low. Imported. Measurements: Waist Measurement: 20 in Outseam: 22 in Inseam: 14 1 2 in Front Rise: 7 1 2 in Back Rise: 9 1 2 in Leg Opening: 10 in Product measurements were taken using size 3T Toddler. Please note that measurements may vary by size. A classic hoodie to finish off his layered look. 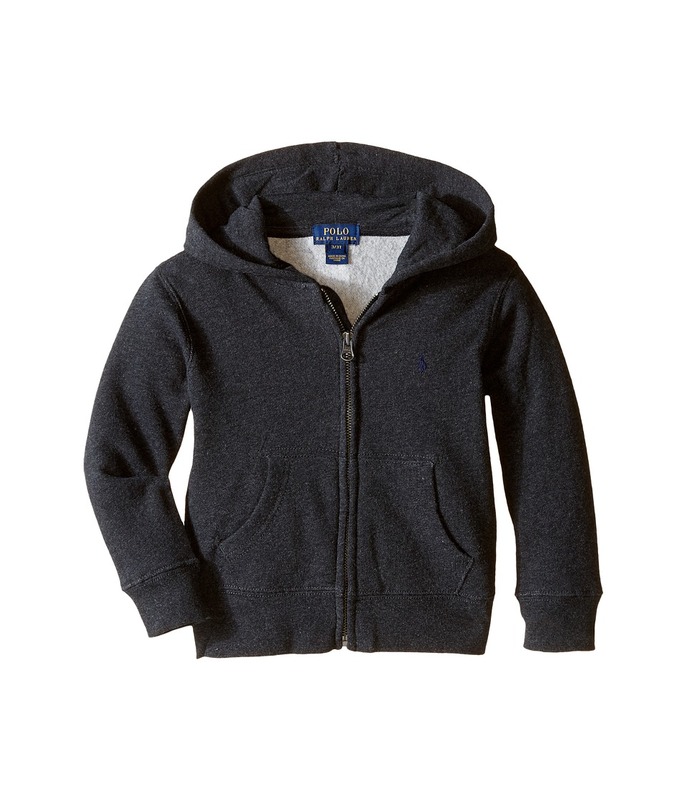 Full-zip hoodie in a cotton-poly fleece with brushed back. 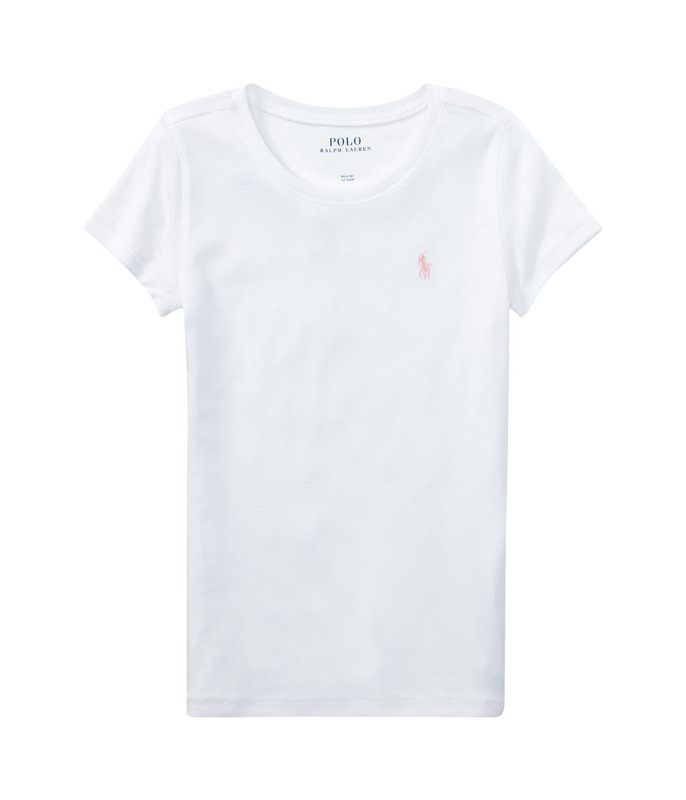 Pony logo embroidery at the left chest. Attached hood. Full front zip. Kangaroo hand pockets. Rib-knit cuffs and hem. 87 percent cotton, 13 percent polyester. Machine wash and tumble dry. Imported. Measurements: Length: 14 1 2 in Product measurements were taken using size 3T Toddler. Please note that measurements may vary by size. An essential classic. A solid legging crafted from comfortable stretch cotton jersey. Signature embroidered pony accents the right hem. Elasticized waist. Tapered leg. 93 percent cotton, 7 percent elastane. Machine wash cold, tumble dry low. Imported. Measurements: Waist Measurement: 19 in Outseam: 26 in Inseam: 19 in Front Rise: 7 in Back Rise: 9 1 2 in Leg Opening: 7 in Product measurements were taken using size 6X Little Kids. Please note that measurements may vary by size. Make the Prospect Shorts his classic, warm-weather signature. 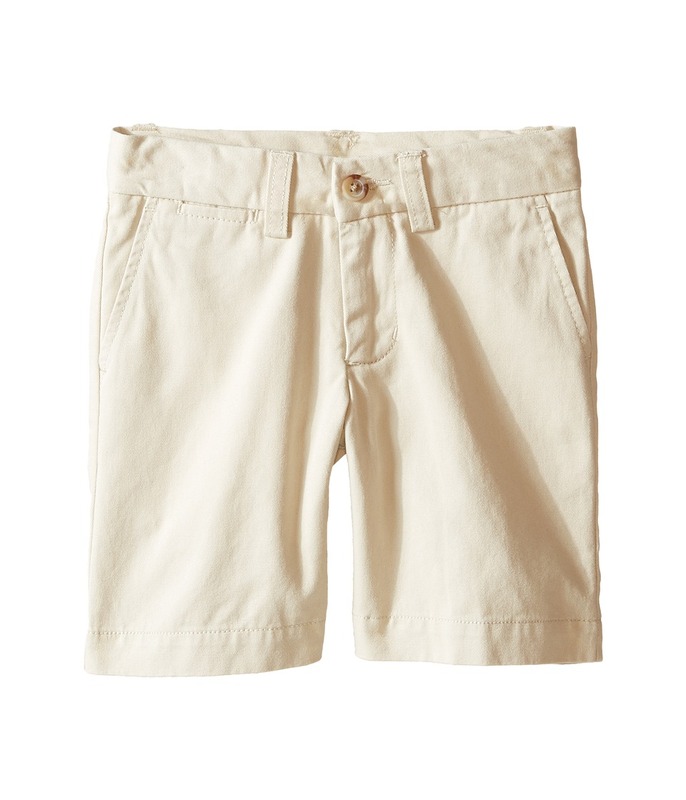 Flat-front shorts feature a regular rise and straight fit to the knee. Cotton twill is washed for a soft, lived-in finish. Belt-loop waistband. Zip fly with button closure. Slash hand pockets. Welt coin pocket at the right hip. Button-through, back welt pockets. Canvas logo patch set above the back pocket. 100 percent cotton. Machine wash and tumble dry. Imported. Measurements: Waist Measurement: 21 in Outseam: 12 in Inseam: 5 1 4 in Front Rise: 5 in Back Rise: 8 1 2 in Leg Opening: 15 in Product measurements were taken using size 3T Toddler. Please note that measurements may vary by size. 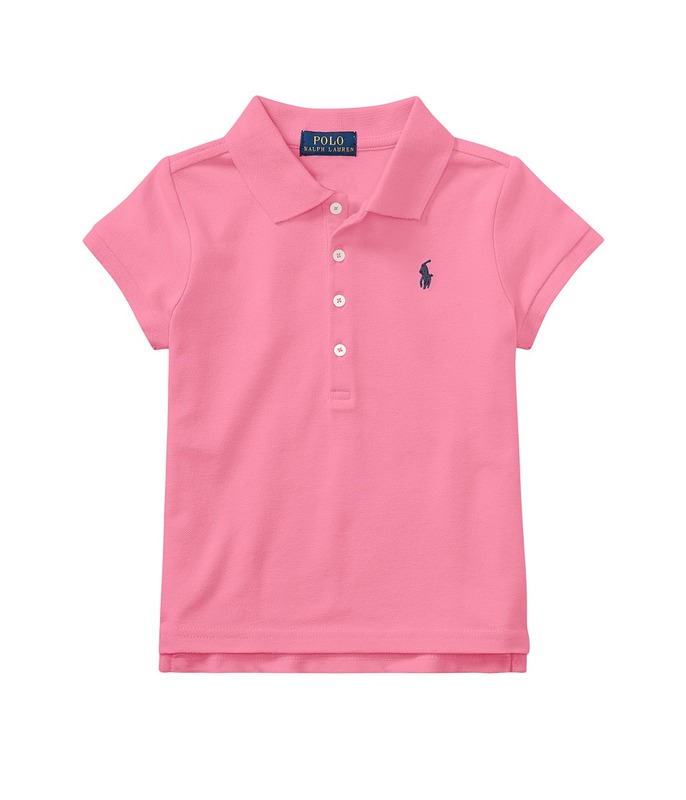 Let them kick it star-player style in this sweet polo. Soft-washed cotton piqu&amp#233 fabric. Classic pony logo embroidered at front. Ribbed fold over collar. Four-button placket. Short sleeves with ribbed cuffs. Straight hem with side vents. 98 percent cotton, 2 percent elastane. Machine wash cold, tumble dry low. Imported. Measurements: Length: 19 in Product measurements were taken using size 6X Little Kids. Please note that measurements may vary by size. Add a preppy touch to his classic outfit. Six-panel construction with embroidered grommets and a channel-stitched brim. Signature embroidered pony accents the front panel. Slider buckle at the back. Embroidered Polo logo accents the back. 100 percent cotton. Machine washable. Imported. Measurements: Circumference: 21 in Brim: 2 1 2 in Product measurements were taken using size 2T-4T (Toddler). Please note that measurements may vary by size. 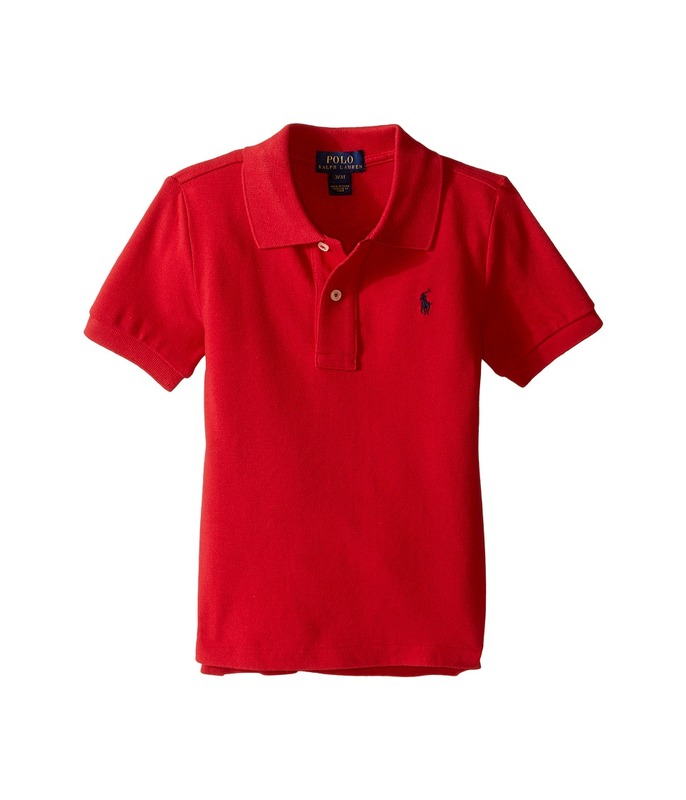 Set him up for classic prep style with a Basic Mesh Polo. 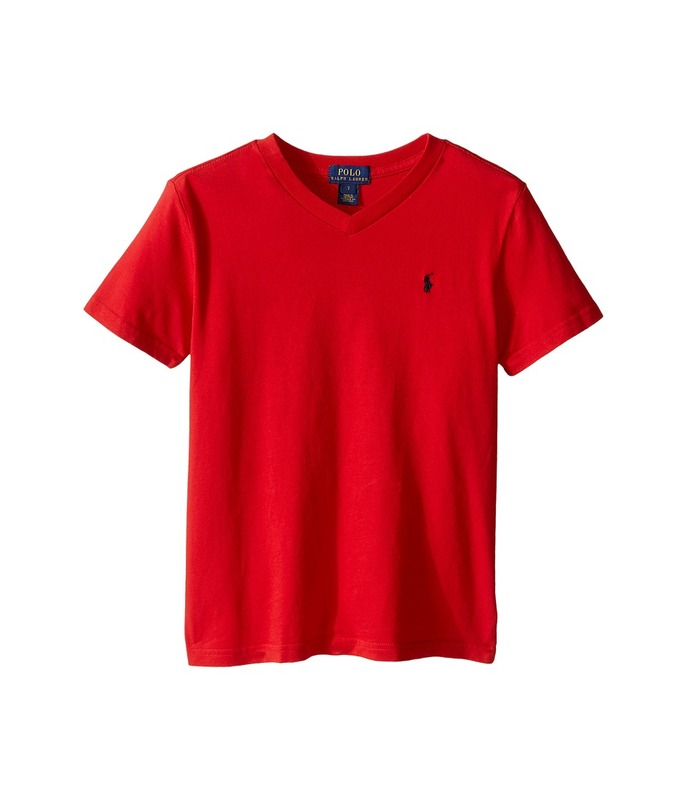 Polo shirt in a classic cotton piqu&amp#233 knit. Pony logo embroidery at the chest. Rib-knit collar. Two-button placket. Short sleeves with ribbed cuffs. Droptail hem with split side seams. 100 percent cotton. Machine wash and tumble dry. Imported. Measurements: Length: 18 in Product measurements were taken using size 3T Toddler. Please note that measurements may vary by size. Keepin~ it classy with a Polo Ralph Lauren tee. Durable and soft cotton jersey. Contrasting signature embroidered pony accents the left chest. Ribbed V-neckline. Short-sleeve coverage. Straight hemline. 100 percent cotton. Machine wash cold, tumble dry low. Imported. Measurements: Length: 20 1 2 in Product measurements were taken using size 7 Big Kids. Please note that measurements may vary by size. A classic wardrobe essential! 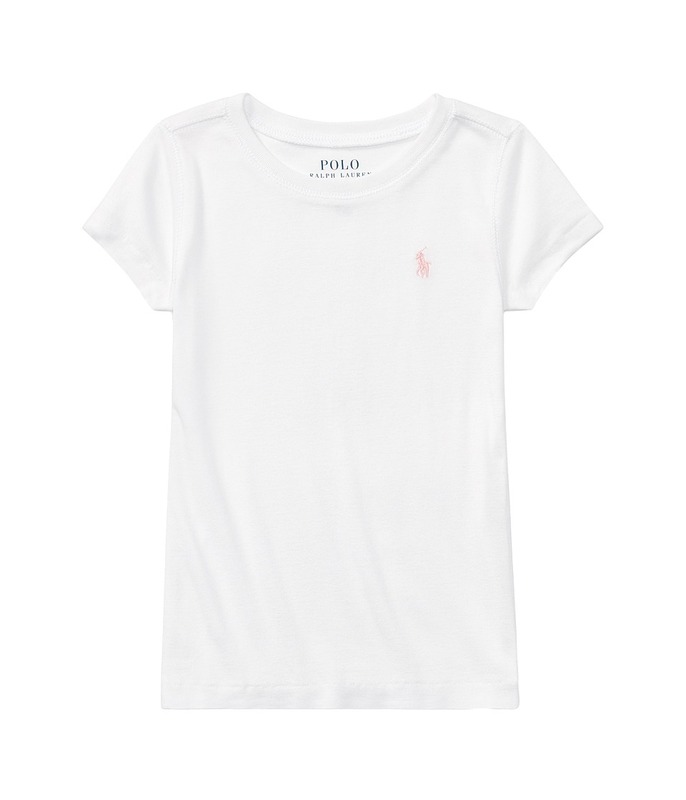 Lightweight knit tee is crafted from an ultra-soft Pima-cotton blend. Classic fit. Signature embroidered pony at the left chest. Crew neckline. Short sleeves. Pullover design. Straight hemline. 52 percent Pima cotton, 48 percent modal. Machine wash cold, tumble dry low. Imported. Measurements: Length: 23 1 2 in Product measurements were taken using size XL (16 Big Kids). Please note that measurements may vary by size. 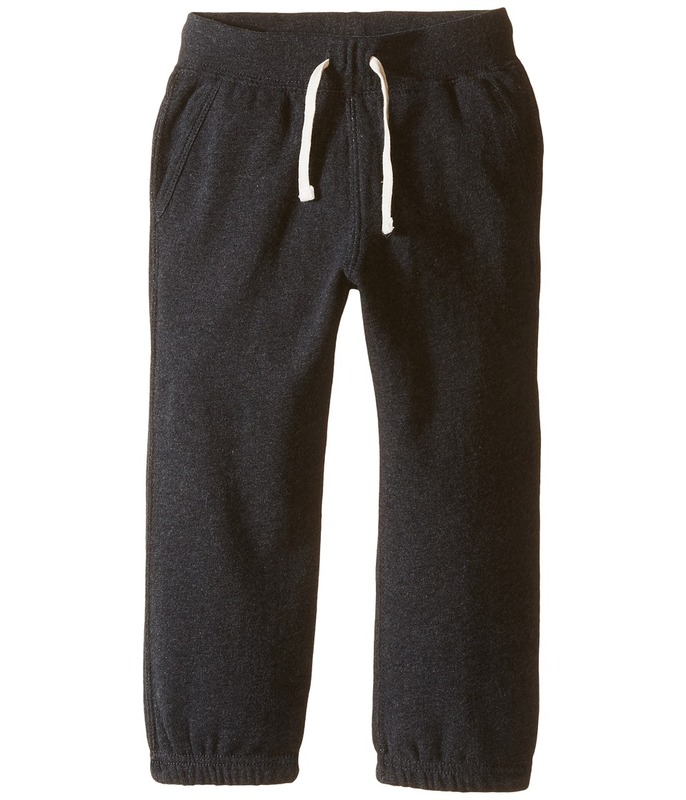 Break-time-worthy fleece pant in an easily-style solid. Cotton-blend fleece is so cozy. Signature embroidered pony at the left hip. Slant hand pockets. Elastic waist with drawstring front tie. Loose-fit leg with a gathered elastic cuff. 87 percent cotton, 13 percent polyester. Machine wash cold, tumble dry low. Imported. Measurements: Waist Measurement: 21 in Outseam: 28 1 2 in Inseam: 19 1 2 in Front Rise: 10 in Back Rise: 12 in Leg Opening: 10 in Product measurements were taken using size 7 Little Kids. Please note that measurements may vary by size.